For Michael John Ferry, being a real estate agent is more than just about buying and selling property. It’s about helping people find a place to call home. From a starter house to a retirement property, each purchase is a momentous occasion, and Michael John is honored to be involved. A resident of Chicago’s North Side for over fifteen years, Michael John applies his vast knowledge of the Windy City when looking for the perfect property. Having specific expertise on the North Side, from the South Loop up to Rogers Park and all neighborhoods West, Michael John is committed to providing honest, personalized services for all clients, from first-time homebuyers to seasoned investors. Michael John specializes in strategic pricing and bidding, a specialty developed working over 10 years as a market analyst with Guggenheim Partners, LLC. His experience in trading high level real estate securities and performing granular market analysis helps him to accurately interpret housing market data and trends and share powerful insight with his clients. Most importantly, Michael John provides top level negotiation skills which he developed while successfully trading billions of securities directly with Wall Street. Whether buying or selling, Michael John’s clients reap the benefits from his knowledge, market expertise and negotiation skills in every real estate transaction. Michael John’s belief is that Although a transaction may emerge exclusively from having superior knowledge of the market or the ability to connect with people, only with a delicate balance of both, can a successful lifelong relationship be made in real estate. Michael John has appeared on both live radio and live podcasts to discuss local housing markets and trends. 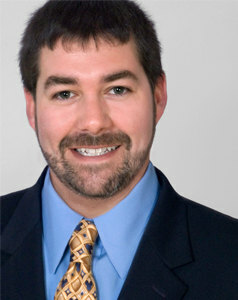 He is annually awarded as a Best of Trulia Top Agent. This award goes to the top 1% of agents on Trulia and is based on sales, client reviews and client ratings. You can visit his Trulia profile Here. Michael John’s business was also published in a feature by Top Agent Magazine, a nationally distributed real estate periodical. Other multiple-year awards he has received include Best of Chicago Award from the Chicago Award Program, Certificate of Excellence from Broker Agent Advisor, the Five Star Real Estate Agent Award from Five Star Professional, and the Seven Star Award of Excellence from Broker Agent Advisor. When not immersed in real estate, Michael John is often immersed in music. A classically trained violinist, Michael John has been playing since he was only 6. He’s performed leadership roles with numerous orchestras throughout Chicagoland and has music degrees from both Bucknell University and Northeastern Illinois University. Michael John lives in Lakeview and enjoys playing chamber music, most especially Beethoven, and savoring good food and wine with friends. Ready for a new place to call home? Contact Michael John Ferry!